Chris Hemsworth's $9 million Byron Bay mega-mansion is nearly complete. 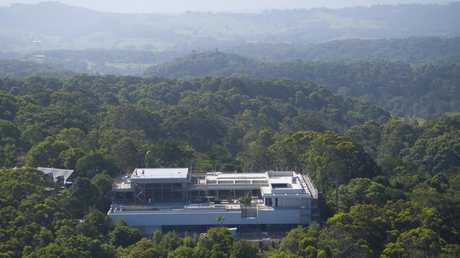 New aerial photos taken this week show how far construction has come on the whopping structure, which some locals have compared to a Westfield shopping centre, nestled on 4.2 hectares in the hills at Broken Head overlooking Seven Mile Beach. Meanwhile, the Avengers star is staying with wife Elsa Pataky and their three children in nearby Suffolk Park while they wait to move into their new home some time next year. 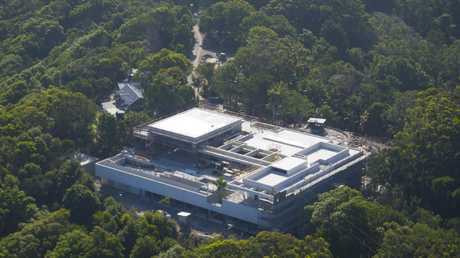 Construction began in late 2017 after the demolition of the existing eight-bedroom Balinese-style resort home that Hemsworth bought for $7 million in 2014. 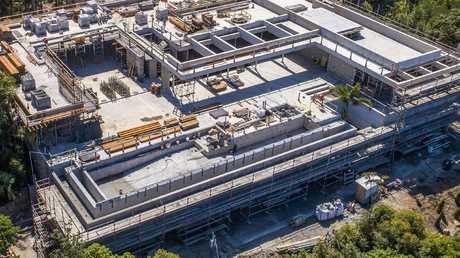 The massive new structure, which features six bedrooms, a gym, steam room, media room, games room, vast outdoor living and play areas and a rooftop infinity pool and spa with ocean views, is expected to be worth close to $20 million when all is said and done. A development application for the knockdown-rebuild was first lodged with Byron Shire Council in late 2016 and approved in March 2017, but the sheer scale of the home has caused unrest among some locals. "I thought Byron would be Noosafied but apparently it's being Hollywooded. Next level," Amy Robinson wrote on Facebook earlier this year. "It's obscene, greedy, flashy, vulgar opulence at its finest and has no place in the Byron I once knew and love. A sad sign of things to come due to greedy, unfettered development policy," Georgie Poppins wrote. Another local said the mansion looked like "a Westfield had been photoshopped into the photo". "Just thinking of the rigmarole I had to go through with a DA for a second bathroom on my very small house in the Byron shire. I can't imagine the hurdles this would've faced. Looks bigger than the Woolies development," Samantha Lee wrote. "If this was some sort of bank boss or corporate-type dude building a Walmart-like building in the middle of a national park do you reckon we'd all be so forgiving? Or is it because he's Thor and that's cool," she added. Many have defended the actor, however. Local Luke Jolly, whose dad also lives on Seven Mile Beach Rd, said even though the construction was taking "forever". and it "can get noise", his family didn't have a problem with it. "The bloke is successful, I think he deserves everything he's got," he said. Robyn Sheffield added, "He has all the relevant approvals. He is using local, very grateful, tradies. The house is not in view of any neighbours and he hasn't cleared any surrounding trees, he should be able to do what he likes." Hemsworth and Pataky married in 2010 after meeting through a dialect coach in Hollywood. They moved back to Australia from Los Angeles four years ago to escape the paparazzi. "We couldn't take it anymore," the Spanish-born actress said last year. "In LA, my kids had a camera in front of them all the time and it made my daughter (India) become very scared of photos. She didn't want pictures taken and didn't want to be in photos." 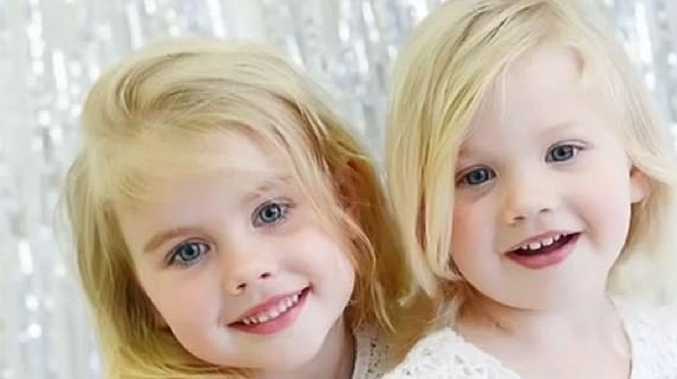 The couple have three children, India and twin boys Tristan and Sasha. "Byron is more relaxed than in LA for us," she said. "But they (paparazzi) do bother you … and it's something we find all the time but there's nothing you can really do about it. At least here they (paparazzi) aren't right in front of us and in our face. "I really wanted to be in a place where I'm out of reach to the media … and in Byron we just feel like locals. People really respect us … and it's what I always dreamt of giving to my kids." In a recent interview with GQ Australia, Hemsworth spoke about growing up "broke" in rural Victoria and how he and Pataky were working to make sure their kids had an appreciation for money. Hemsworth used his first big pay cheque to pay off his parents' mortgage and when asked by GQ how he felt about what his wealth could do to his kids, the Thor star said he "felt gross about it". "I remember saving up for a surfboard when I was younger. The surfboard was 600 bucks and I saved up for a whole year with dad's help. I didn't even want to surf on it for fear of damaging it. It taught me so many lessons about appreciation and working hard for something," he said. "When I think about my kids, I don't want them to miss that joy. The fact that we have money and their parents are famous, that somehow they're special, that scares me because we grew up with no money."